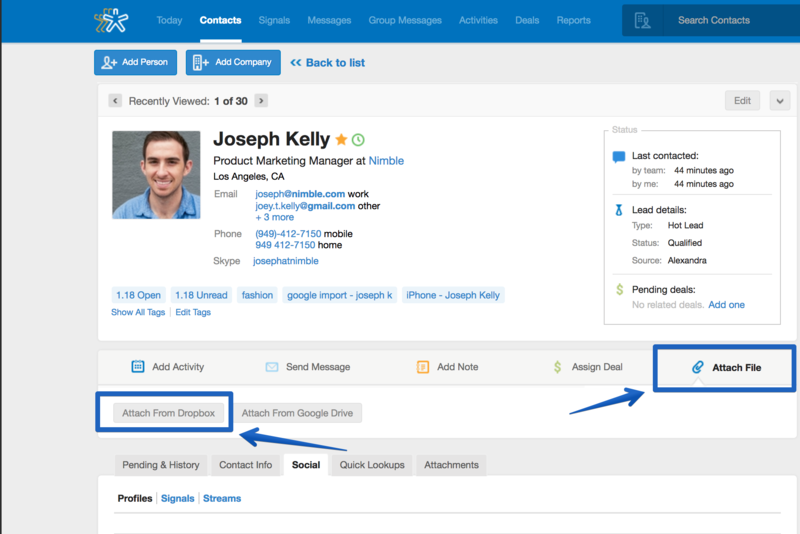 This is an overview of the Dropbox integration for Nimble. 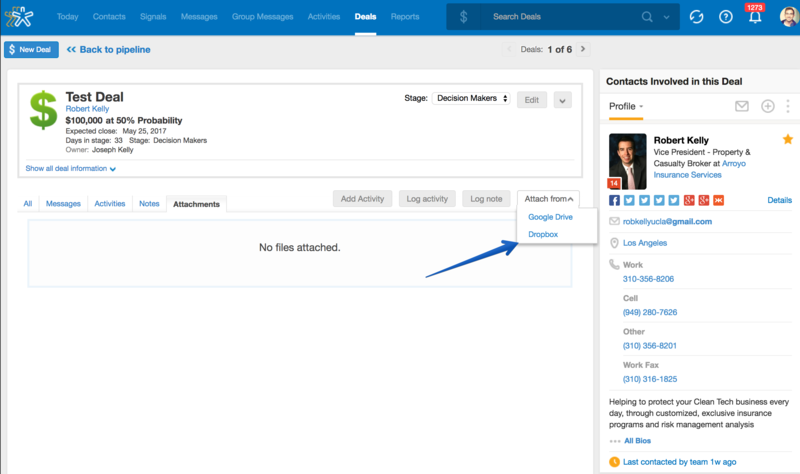 To attach files to a Contact, go to a specific contact record, and click on the "Attach File" tab and select "Dropbox"
There you can sign in to Dropbox, view, and select your files. Your files will appear in the Attachments sub-tab, along with a timestamp, the date, and the name of the person who added them. There’s another way to add an attachment. In the Contact Record, to the right of the Edit button, is a drop-down menu. You can choose Attach From Dropbox. You can also attach documents to a Deal. First, go to the Deals tab and click on the Attachments sub-tab. Click on Attach From Dropbox. Next, choose your files (you can select multiple files) from the pop-up window. This is a feature provided with our core product, free of charge. As with previous Nimble integrations, the Dropbox integration highlights Nimble's ability to keep all communication and documents related to a contact or deal in one place for easy viewing.